The UC San Diego Center for Community Health supports a variety of programs and projects that seek to increase the health and well-being of children in school settings. These programs consist of School Wellness and Physician Consultation to School District Contracts. The School Wellness Program has been implementing health promotion initiatives in San Diego County schools for over 15 years. The program engages with wellness councils, district nutrition leadership, school staff and parents. Initiatives aim to enhance learning environments to better promote healthy and sustainable behavior change among elementary school-aged children. The School Wellness Program facilitates the creation and translation of school district wellness policy into changes on the ground — putting policy into practice. 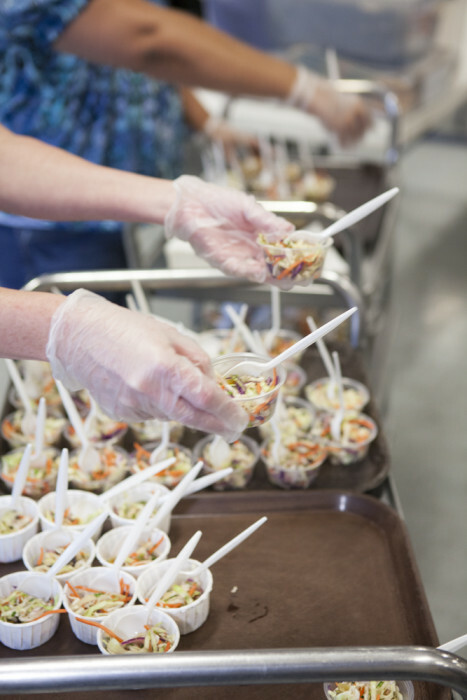 Utilizing evidence-based methods, grounded in behavioral economics, motivate and train cafeteria staff in making changes to the cafeteria environment. Training and resources are provided for garden, nutrition and physical activity education in the classroom. Lastly, the program engages and empowers parents to create healthier home environments for their families. 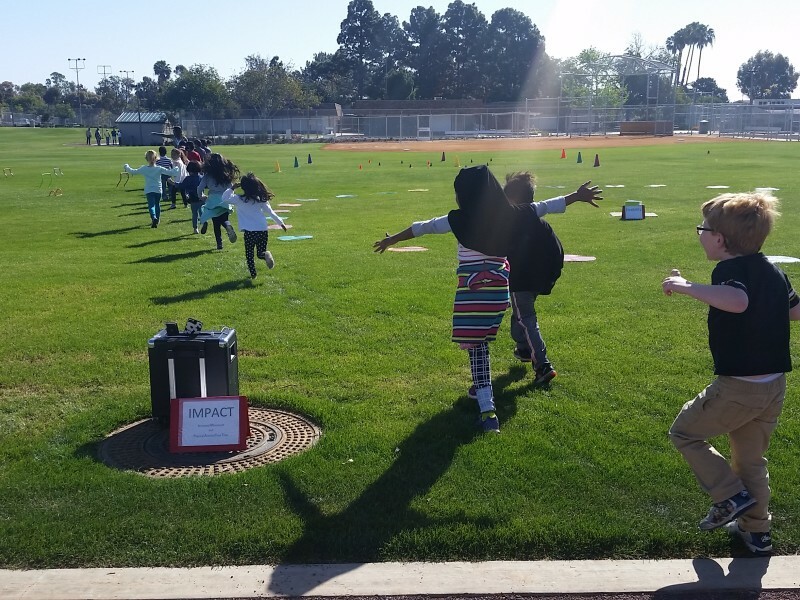 The School Wellness Program has been the Co-Chair of the School and After-School Domain (School Domain) of the San Diego County Childhood Obesity Initiative (COI) since Spring, 2014. The School Domain unites schools, after-school programs and other key stakeholders in creating healthy, active and successful learning environments. The School Wellness Program has active members in the COI’s District Representatives Network. This Network provides a community liaison to every school district wellness council within the County of San Diego. Liaisons attend monthly Domain meetings and quarterly District Rep Forums, where they receive resources and training on school wellness policies and health initiatives. Through a shared agenda of making California-grown fresh produce and nutrition education accessible to all San Diego residents, the School Wellness Program‘s ‘Harvest of the Month in the Classroom’ represents Farm-to-Fork initiatives within the school domain and has been the main vehicle in which San Diego County efforts reach elementary school-aged children and their families. The School Wellness Program’s ‘Harvest of the Month in the Classroom’ is also aligned to the collective impact of the San Diego County Farm-to-School Task Force — which brings school districts, farmers, distributors, procurement brokers and nutrition education agencies to the table to facilitate the Farm-to-Fork initiative specific to San Diego County’s schools and youth. The School Wellness Program also works to promote physical activity in schools. For example, the Power Play! 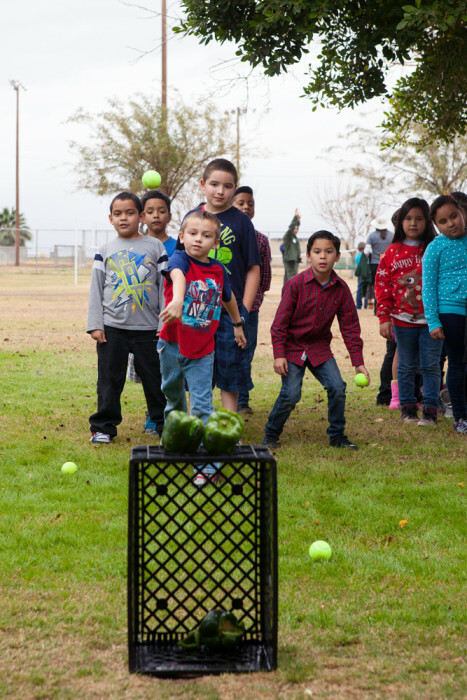 Campaign inspires and empowers California’s low-income children, aged 9 to 11 years, to eat 3 to 5 cups of fruits and vegetables and get at least 60 minutes of physical activity every day. 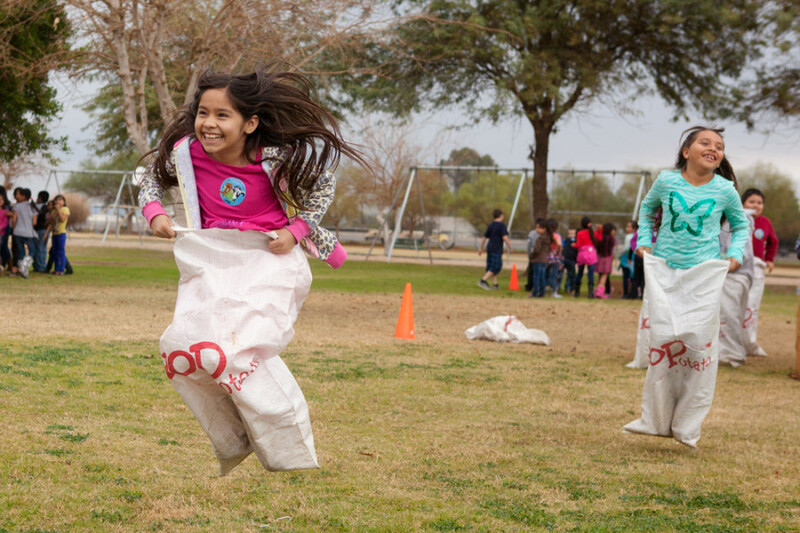 The School Wellness Program helps elementary schools in and around San Diego County to administer this campaign to 4th and 5th grade classrooms in order to learn how to incorporate food and play which inspires a new generation of healthy San Diego County children. Additionally, the School Wellness Program facilitates another program known as ‘Increasing Movement and Physical Activity Classroom Time’ (or IMPACT) in low-income elementary schools where there is limited opportunities for physical activity. Learn about the UC San Diego Center for Community Health School Wellness Program! School Wellness is a program of Live Well San Diego: Healthy Works and implemented by UC San Diego Center for Community Health. This work supports Live Well San Diego, the County of San Diego’s vision of a region that is Building Better Health, Living Safely, and Thriving. For CalFreshinformation, call 2-1-1. Funded by USDA SNAP-Ed, an equal opportunity provider and employer. Visit www.CaChampionsForChange.net for healthy tips.